A new imaging technique developed by a group of researchers, including those from Harvard, MIT, and Boston University, may take us one step closer to understanding the human brain’s mysteries. Journal Cell recently published the results. 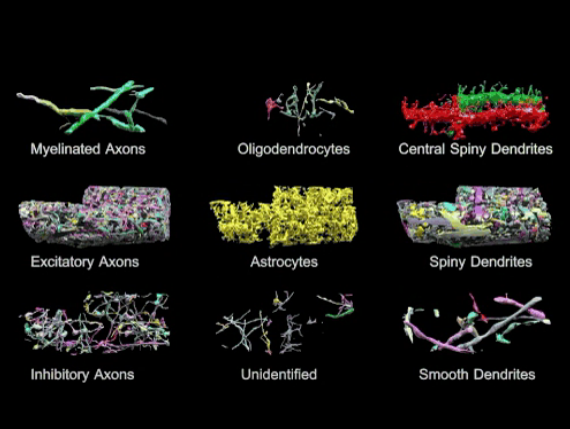 This new approach allows scientists to see the brain’s 3D structure on a nanoscale with different colors separating the cell types. Popular Science reported the scientists created the first 3D image of a mouse dendrite by combining electron microscope (EM) images of the brain together. They used VAST, an annotation tool–developed at Harvard by a co-author of this study–to manually add colors to the EM images. The researchers theorized the tool could be used for a variety of applications, including what a neurological disorder would actually look like in the brain for comparison. However, researchers agreed that while the finished product is beautiful, they also discovered the sheer magnitude of neuronal connections that make up the brain is a huge challenge. A mouse brain is also less complex than a human brain.